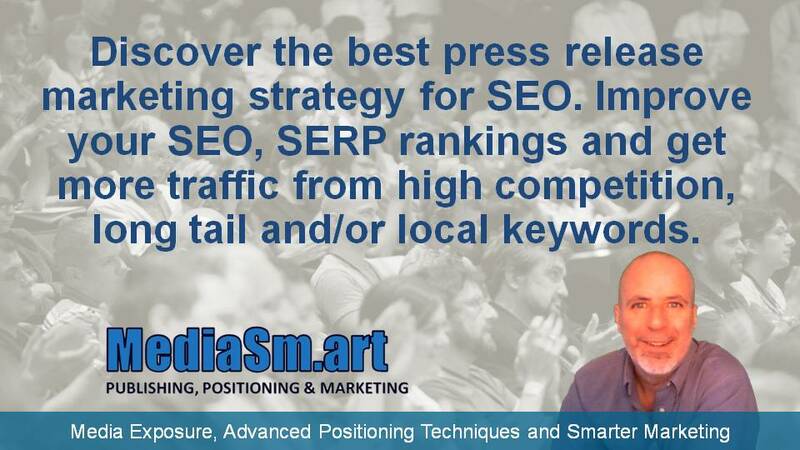 The best press release marketing strategy for SEO is the one that creates the most high authority backlinks for your keyword strategy and for your money. If the only goal of your press release marketing strategy is to improve your search engine optimization, then most press release distribution services would help you achieve your goals. You should, however find a service that offers good value. Meaning, there are some services that are extremely expensive and just rip you off, and some that are really cheap but offer weak distribution (less backlinks and from lesser authority sites). So, somewhere in the middle would probably be the most effective use of your money. The next part of your press release marketing strategy that you should consider is your keyword strategy. If you are going after long tail keywords, then you probably wont need a high distribution service to improve your SERP positioning. Order a cheaper distribution package like my DFY Press Release. You’ll likely see a bump in SERP positioning and if you need more, simply order another as it will cost about the same as one high distribution package. If you are trying to tackle a high competition keyword, then you may want to consider a higher distribution package like my DFY Press Release Pro. With the DFY Press Release Pro you’ll get way over twice as much distribution, but at twice the price also. Or, you may want to consider a sustained attack; publishing a press release every week or month. As you know, the results will depend upon your keyword. Alternating between distribution packages is also an option. You could order the Pro every third or fourth press release. The above advice would also apply for local keywords. High competition local keywords might necessitate higher distribution, or mixed, packages to see maximum results. Lower competition keywords probably won’t need a high distribution package. If you want only to bump your SERP positioning, then you’ll probably benefit from any quality press release distribution service. Say you fell off the front page of Google to number 11, I’d start with my DFY Press Release and see how many positions you rise. BTW, you will also get traffic on your website from the press release distribution websites. This traffic is people who have read your press release and were motivated enough to click a link and visit your website to learn more. So, these people will likely improve your other metrics like bounce, time on-page and click-through rates. And, you should be using lead magnets to collect their contact info. So, IMHO, the best press release marketing strategy for SEO is to use a quality press release distribution service that offers value, like mine; and match it to your keyword strategy. My best advice now is to go check out my DFY Press Release and DFY Press Release Pro plans; they’re the best high value and distribution press releases for SEO and improving SERP positioning.